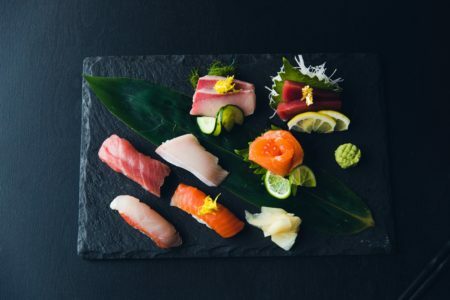 From fresh oysters to refined sushi, San Francisco’s culinary scene is a haven for seafood lovers. The best part? 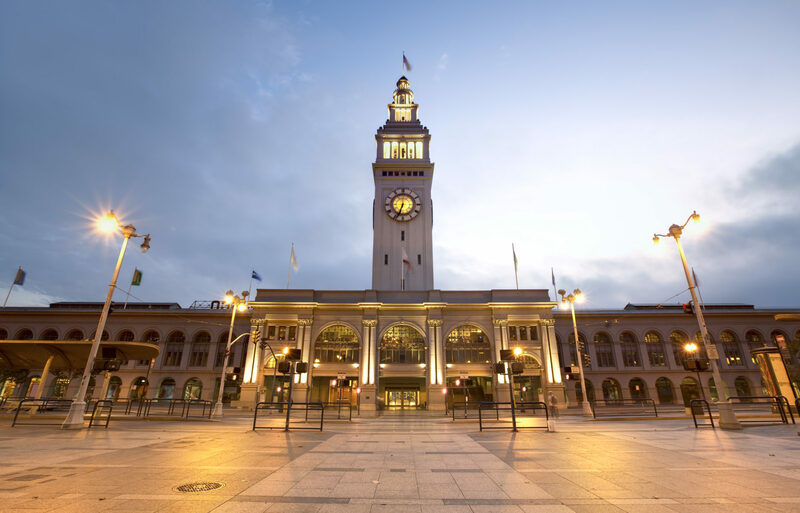 You can enjoy it all along the lively and scenic Embarcadero waterfront. It was love at first slurp. The air was cool and misty that afternoon 25 years ago. My youngest brother Michael and I were spending one day in San Francisco before driving south to a cousin’s wedding. After watching the sea lions on Pier 39, we headed to nearby Fisherman’s Wharf. We ordered two bowls of clam chowder, sat on a bench and enthusiastically devoured the creamy broth, chewy clams and diced potatoes. And then we ate the bread bowls, using several napkins to wipe the stickiness from our chins and fingers. 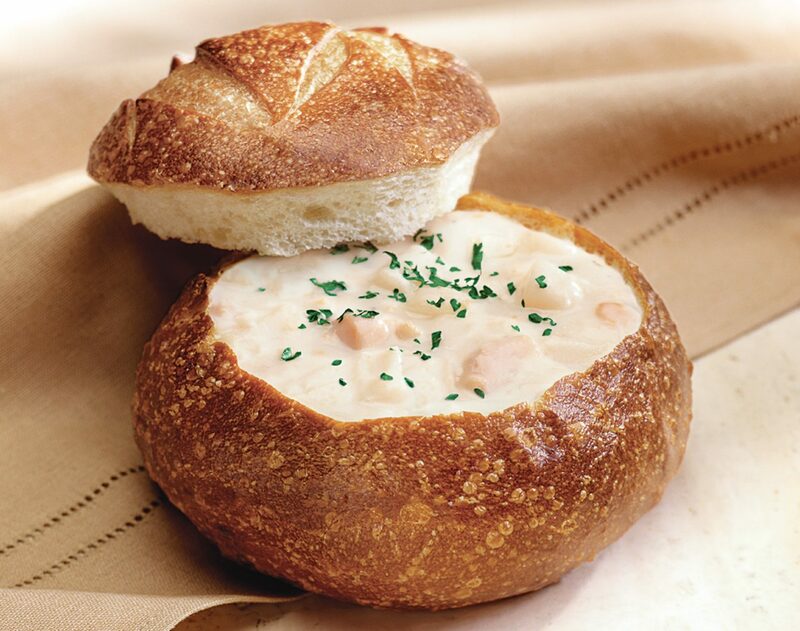 The sourdough bread bowl with clam chowder is still a must-try when you’re in San Francisco. But since that first visit, I’ve discovered the seafood scene is great along the entire Embarcadero. 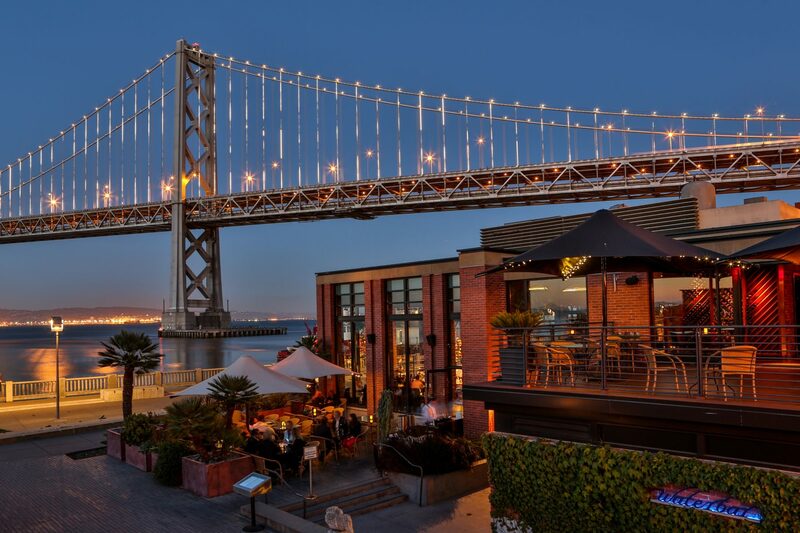 From Fisherman’s Wharf at the north end to AT&T Park at the south, this three-mile stretch of waterfront serves up delicious dining options at almost any time of day. The edible soup bowls my brother and I devoured that afternoon were from Boudin Bakery & Café, which is known for offering generations of seafood lovers an inexpensive and filling lunch. In fact, the restaurant has been churning out sourdough loaves since 1849 and whetting appetites with its aromatic outpost on Fisherman’s Wharf since 1975. True, their clam chowder is a touristy treat in the most touristy part of town — the Embarcadero — but that doesn’t make it any less delicious. When a friend and I recently visited San Francisco for her birthday, I knew we had to stop at the Ferry Building. This historic terminal at the foot of Market Street dates back to 1898, and has been functioning as a marketplace for local artisan food and beverage producers since 2003 (when it reopened after a four-year restoration). You’ll find a veritable smorgasbord of flavors inside every day, and a vibrant farmer’s market outside on the plaza on Tuesdays, Thursdays and Saturdays. As my friend and I strolled through the Ferry Building in the early afternoon, we perused the options: cold seafood salads at the San Francisco Fish Company, ahi burgers and fish tacos at Gott’s Roadside and more. We also eyed the menu at Hog Island Oyster Co., where the raw bar is the star, but tasty offerings like the oyster po’ boys and mussels and fries shine brightly, too. Having eaten a late breakfast, we struggled to resist each and every temptation. But we were determined to save our appetites for our next stop. With my friend’s birthday fête in mind, we had our sights set on happy hour, Embarcadero-style. So we walked to Waterbar, one of the best spots in the city to unwind over a platter of freshly shucked oysters-of-the-day and glasses of bubbly prosecco. We spent 90 leisurely minutes tossing back Northern California oysters that were just the right combination of briny and sweet; we shared an order of cooked-to-perfection and lightly salted French fries, too. And as we sipped our glasses of happy hour wine — a refreshing sauvignon blanc with floral and citrus notes — we enjoyed amazing Bay Bridge views through the bar’s massive windows. The weekday happy hour offers great drink deals, but you can also get oysters for $1.05 each (the five cents goes to local charities) during select hours on Sundays through Fridays. Toss sunscreen and a lightweight jacket or shawl in your bag before you head out for the day. San Francisco’s weather is notoriously fickle and can change from warm and sunny to damp and blustery on a dime. Our last stop on the seafood-dining trail was just a short walk away on Steuart Street. I’d reserved a table at Ozumo, a lively Japanese restaurant. My friend and I took our seats in the main dining room overlooking the Bay Bridge. When we opened our menus, we found ourselves facing some very tough decisions — we both love fish of all kinds, and everything sounded so good! Our waiter approached for drink orders, and although the cocktails were tempting, we decided to stick with white wine. 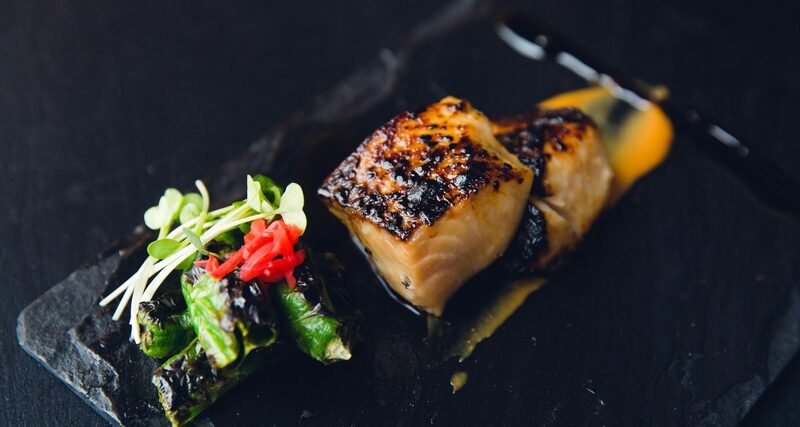 We settled on several dishes to share: sliced hamachi with avocado and a warm ginger-jalapeño ponzu, spicy tuna and spicy scallop rolls, black tiger prawn tempura and sweet misu-sake kasu marinated black cod with grilled shishito peppers. Each morsel was refined, flavorful and just satisfying enough after our earlier oyster indulgence. This dinner was the exact opposite of my first, calorie-rich slurp of San Francisco chowder 25 years prior. But both meals were equally delicious. In fact, reminiscing about these culinary adventures has me itching to book a flight and head back for more. If the weather isn’t cooperating or your legs can’t handle a long walk, you can always take a ride on one of San Francisco’s historic streetcars. Both the E-Embarcadero and F-Market and Wharves lines run along the Embarcadero.